Every now and then I would gaze at the slither of paper on my desk and see the name "Walter Harris" with a telephone number. It had been given to me by Charles Covington who keeps in contact with him. He thought it may be a good idea for me to interview America's first Black National Master. For months I gazed at the number with the intention of calling. Months passed by when on December 24, 2005, I picked up the phone and dialed the number. After several rings, a man answers and I ask for "Walter Harris." He confirms that it is he. I introduce myself and for the next hour was treated to a delightful conversation and a ride in a time capsule. It was quite an enlightening experience as one would imagine. While Harris seemed surprised at the attention, I assured him that he is an important historic figure in Black chess. A New York native, Harris was surprised that he remains part of historic chess lore as I mentioned that his name appears dozens of times on The Chess Drum. He had heard about the site from Charles Covington and was surprised that he would be considered a legendary figure. He said that while he was on the chess scene, he was not attempting to make history. Chess was merely an outgrowth of his passion at the time. He recalled hearing his name on a TV program some 10-15 years ago about Black chess (I'm guessing Tony Brown's Journal). He was lying down when someone mentioned "Walter Harris" as the first Black Master. The late Wilbert Paige also told me that he had seen Walter Harris' name in an encyclopedia, but could not remember the source. As he told the story, he chuckled in astonishment that his name would be remembered. In our conversation, we discussed a number of things, but first it was important that I orient Mr. Harris on The Chess Drum and the current plight of Blacks in American chess. He had been out of touch for some 40 years and had not heard of Emory Tate, but had heard of the "brother who won the Grandmaster title." 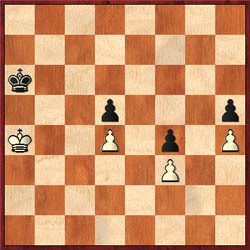 That was Maurice Ashley, the world's first Black Grandmaster. I also told him about the previous qualifications of Ashley and Stephen Muhammad in the U.S. Championship. Harris spoke of Ashley with pride, but stated that he regretted that he didn't push harder. He shared a conversation he had with Bobby Fischer in which Fischer said to Harris, "You have some talent." He and Fischer were teenage contemporaries, but of course Fischer was already a Grandmaster and U.S. Champion. Harris stated that Fischer was already being made to be a bad person which (in Harris' mind) was certainly not the case. We spent some time discussing his performance in the 1959 US Open held in Omaha, Nebraska. Earlier in the week, Harris placed 5th in the U.S. Junior Open with 6-3 and would later earn the National Master title. When I first mentioned the U.S. Open, he responded with disgust, "Oh that terrible tournament." All of these years, I had thought of the result as being a good one until he mentioned that he was 7-1 in the tournament (actually 6-2 and then 7-2 before losing his last three games). He had beaten chess prodigy and 1958 U.S. Junior Champion Raymond Weinstein in the first round and stood in a good position after nine rounds. After a loss to IM James Sherwin, he was demoralized by an 11th round loss to IM Dr. Hans Berliner after declining a draw offer. Harris stated that, "adventurous hearts are ten times bigger, but my head was ten times bigger." Harris' studies at UCLA began to command more of his time as he embarked on a career in physics. It was on the west coast that he would meet another legend in Frank Street. Street would go on to win the 1965 U.S. Amateur Championship, graced the cover of Chess Life and became the 2nd Black to earn his National Master's title. During our conversation about the 1959 U.S. Open, Harris mentioned a story about not being able to rent a room at a hotel because he was Black. He could not remember if this incident occurred at the same hotel where the tournament was being held (Sheraton- Fontenelle Hotel). In those days, segregation ruled the day and Blacks were not allowed access to public facilities. The managers had pulled Anthony Saidy (now an IM) aside and told him that Harris was not welcome. Saidy protested, but the hotel managers were adamant. They went to another hotel where they were able to find accommodations. Harris mentioned an interesting story about Arnold Denker and Dr. Berliner, who at Carnegie-Mellon University, would later become famous for developing "HITECH," one of the world's first Master-level computer programs. After beating Denker in a tournament, Harris stated that Denker was very upset and in the analysis, kept trying to prove that the young Master was lost. Denker even brought over Dr. Berliner to back his points. Unfortunately Fischer was not there to help Harris. That would have certainly settled the debate! "Harris waxes with nostalgia with, 'It was lonely when I came up.' He said that he was very pleased by Maurice Ashley's success and hinted that at least he (Ashley) has other black masters who surround and support him. His sharp, clear voice tries to conceal both the pain and the pride of his accomplishment." It was an interesting conversation during which Harris would let out hearty laughs about the history that he was rediscovering. 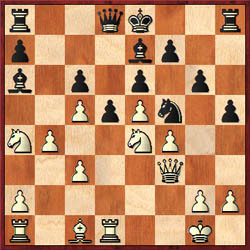 Besides the games I found at chessgames.com, the only game I had seen of Harris' was his loss to Pal Benko which was published in Chess Life. He joked that they always published his losses! 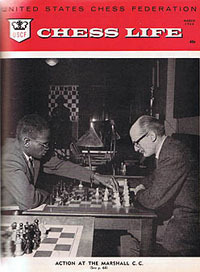 The only picture I have seen on Walter Harris and it is a picture in Charles Covington's chess memoirs. In the picture, Harris can be seen standing watching the finalists in the 6th Armed Forces tournament in 1966. The dark-skinned bespeckled man does not recall the event, but it was interesting to witness his joy as we rekindled memories which were obviously fond to him. To all of those wondering where Walter Harris is (including Daniel van Arsdale)… he is doing well in Virginia.